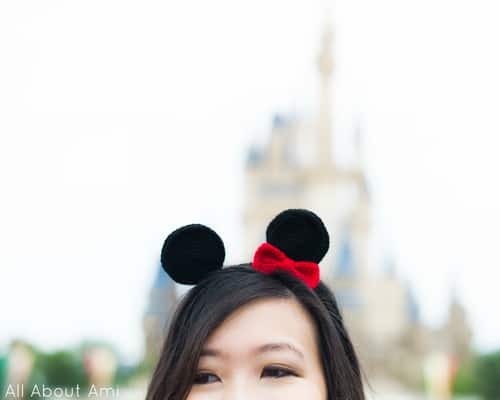 You are going to LOVE these DIY Mickey Ears. 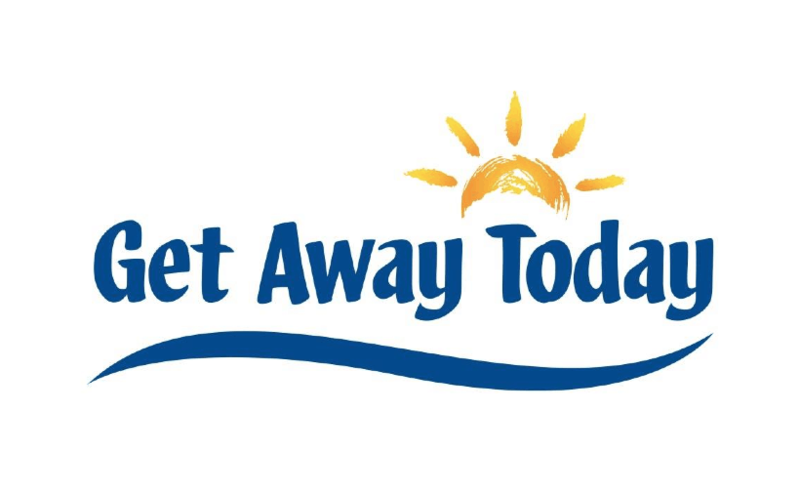 So many cute ideas you can make at home and then wear on your vacation! I love making DIY Disney shirts for my family to wear on vacation but one of the things we’ve never worn is a set of Mickey ears. I know, crazy right! So this year I’m putting that right. 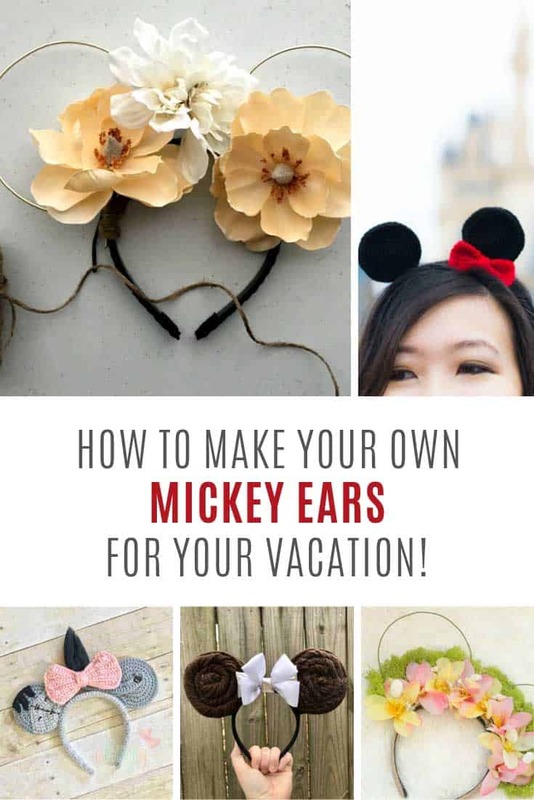 I was searching for DIY Mickey ears and I found so many cute ideas that I just had to round them all up to share with you here! 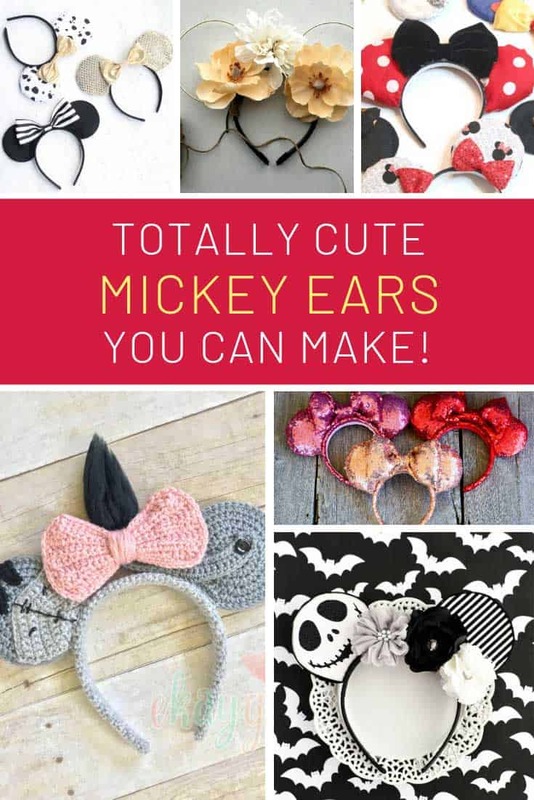 Oh and if you really want to wear some cute Mickey (or Minnie) ears but you don’t have time to make any hop on over to Etsy because they have some FABULOUS designs there all ready for you to order! 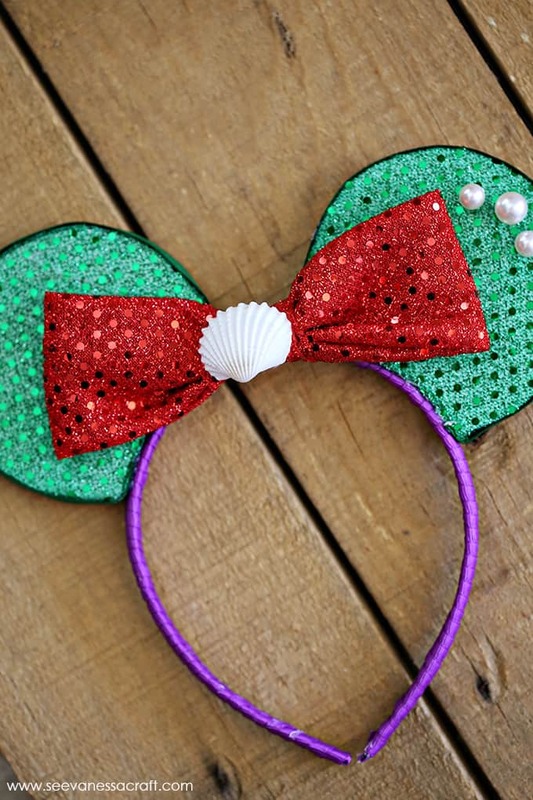 These Mickey ears are no sew and you can make a pair for just under 10 bucks. 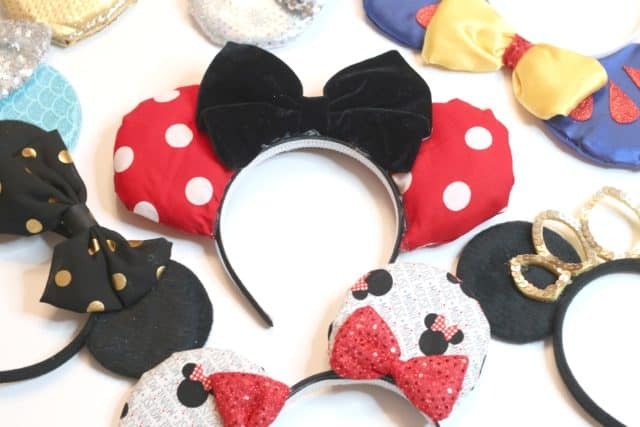 You can use this tutorial to make some sweet Minnie Mouse themed ears and then use your imagination to make as many creative ears as you can think of! Here’s some more no sew ears that you can make with your hot glue gun. I love the gold sequin style ones myself! 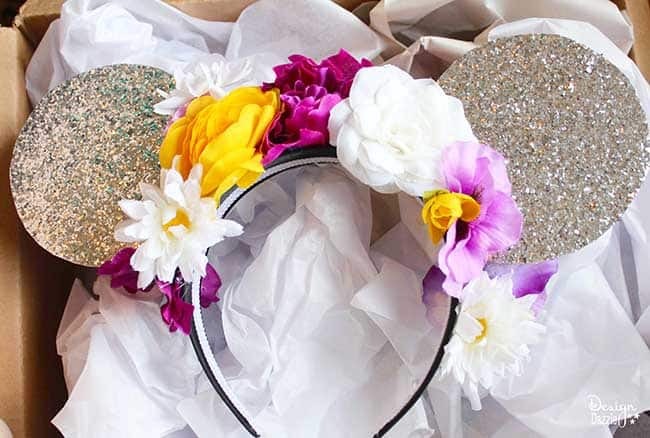 Oh my goodness how fabulous are these floral ears? If you are travelling to Disney World during the Flower and Garden Festival you need a pair of these! 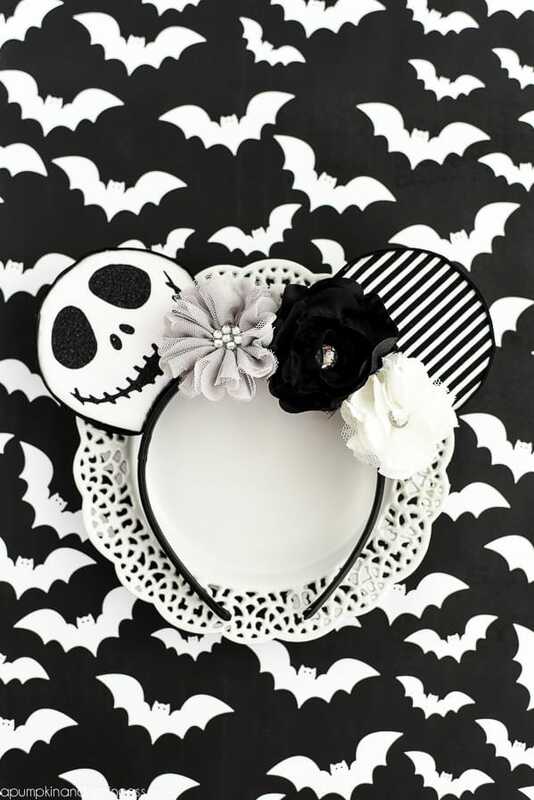 Or if your trip coincides with Mickey’s Not So Scary Halloween Party then how about whipping up a pair of these fabulous black and white Jack Skellington ears! 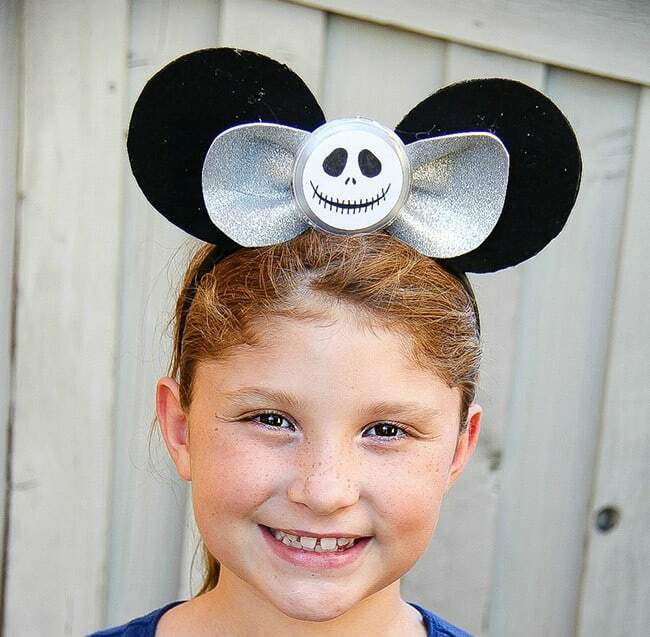 And just because there’s more than one way to skin a cat… here’s another take on a DIY Jack Skellington ear design! 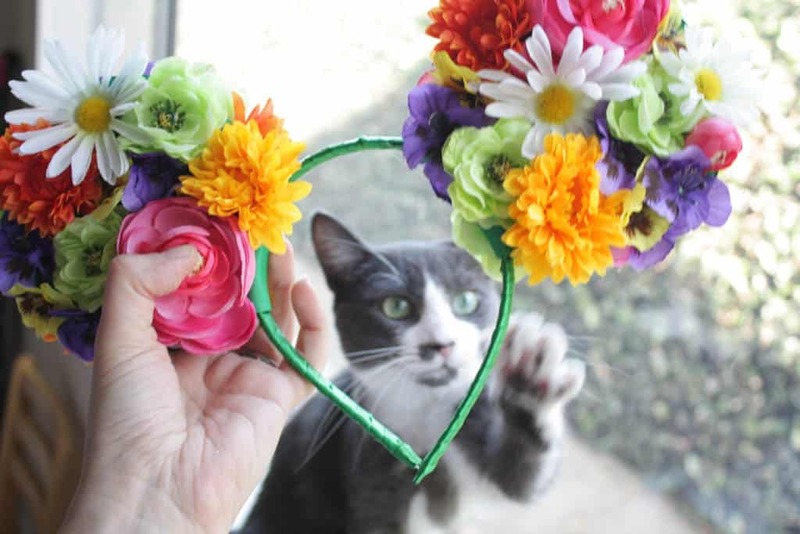 Ooh these floral ears are so pretty even the cat wants to wear them! Another perfect choice for the Flower and Garden Festival methinks! 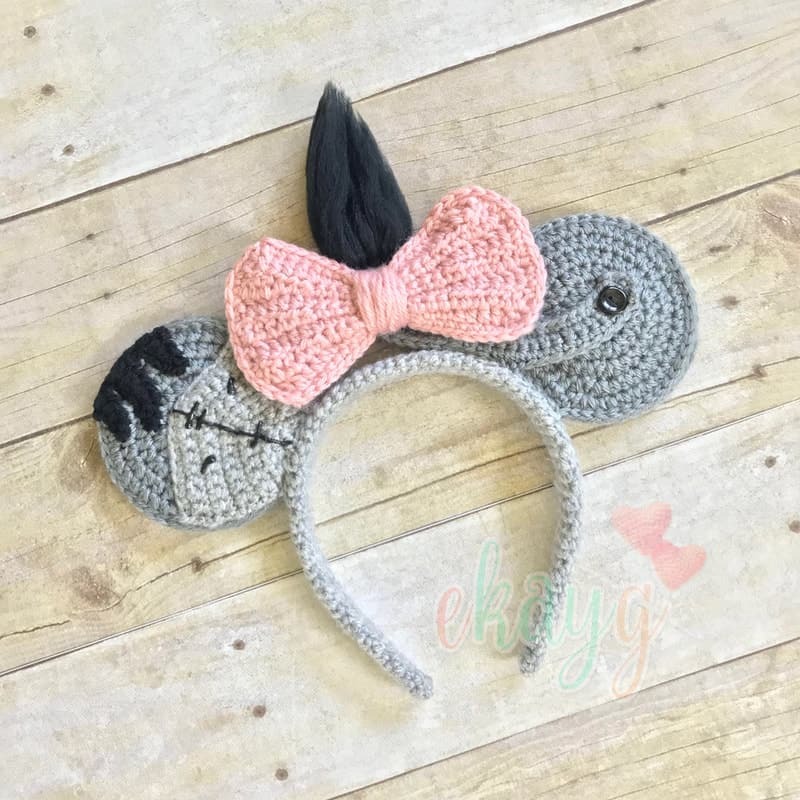 If you’re not quite sure about wearing ears then how about this cute pair of small ears that you can crochet! 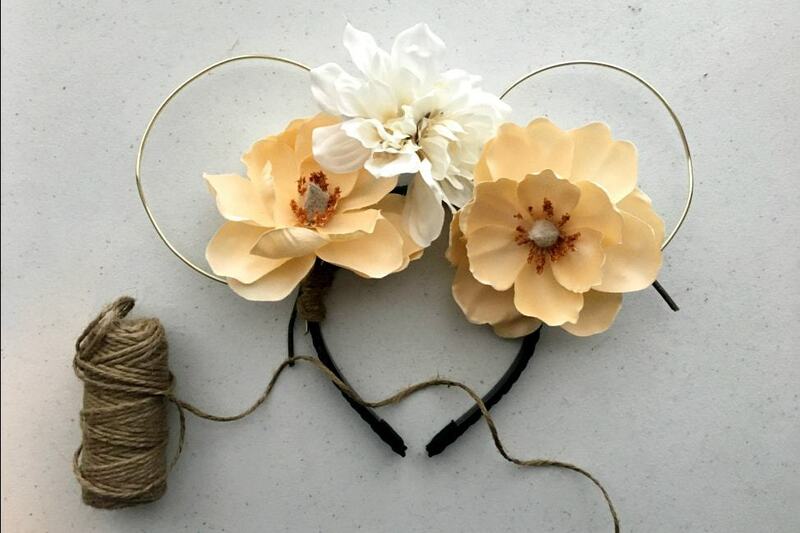 Oh these Tangled inspired ears are so pretty I’m sure Rapunzel would love them! 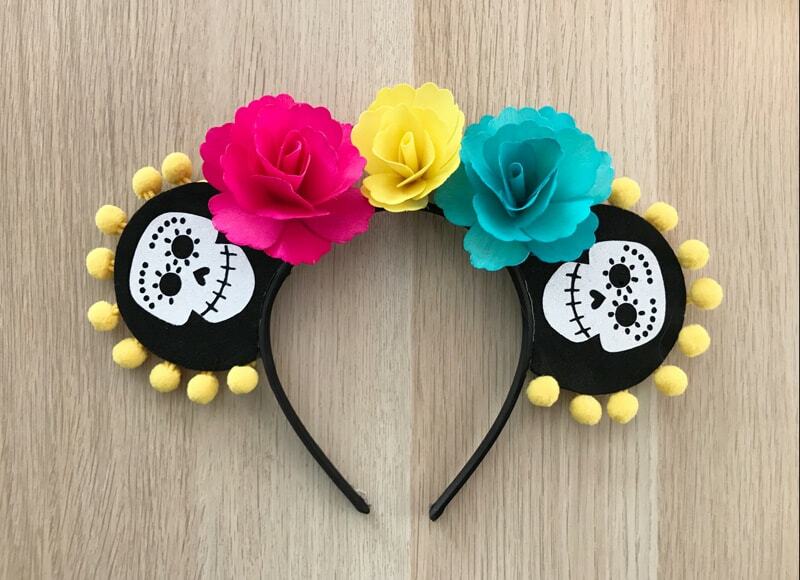 If you’re planning a Disneymoon I think these would be fabulous to wear! 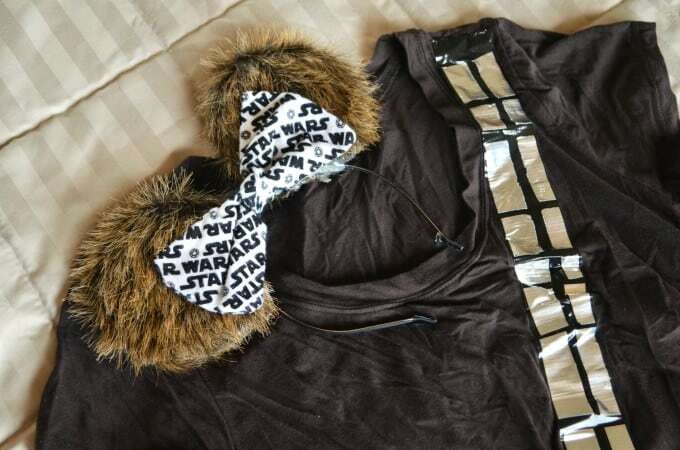 This DIY is for all you Star Wars fans out there because it will show you how to make some fabulously furry Chewbacca ears! 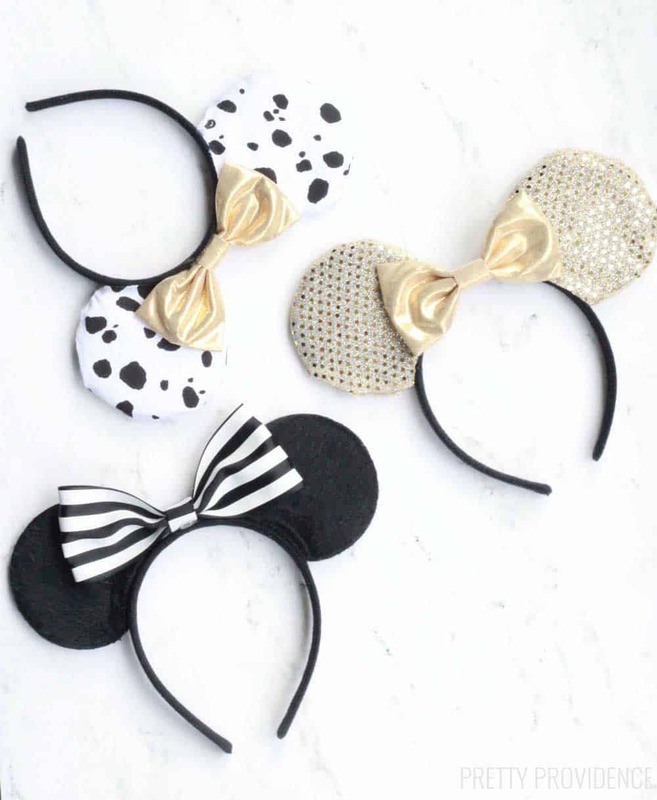 Oh how sweet are these Coco inspired ears? I LOVE the colors of the flowers and the little teeny pompoms! 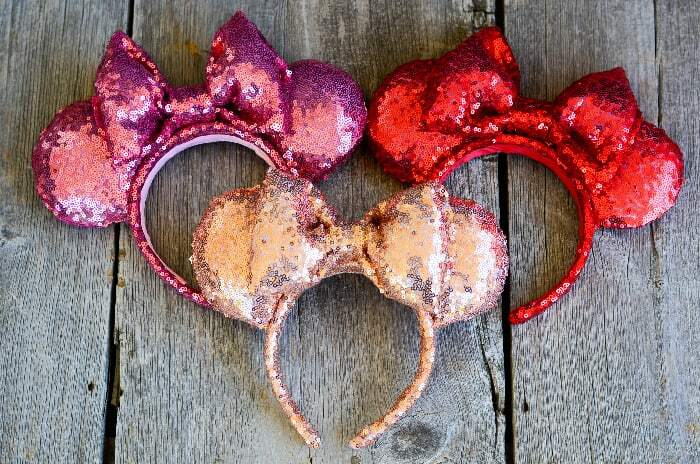 Or how about these fabulous sequin Minnies ears! 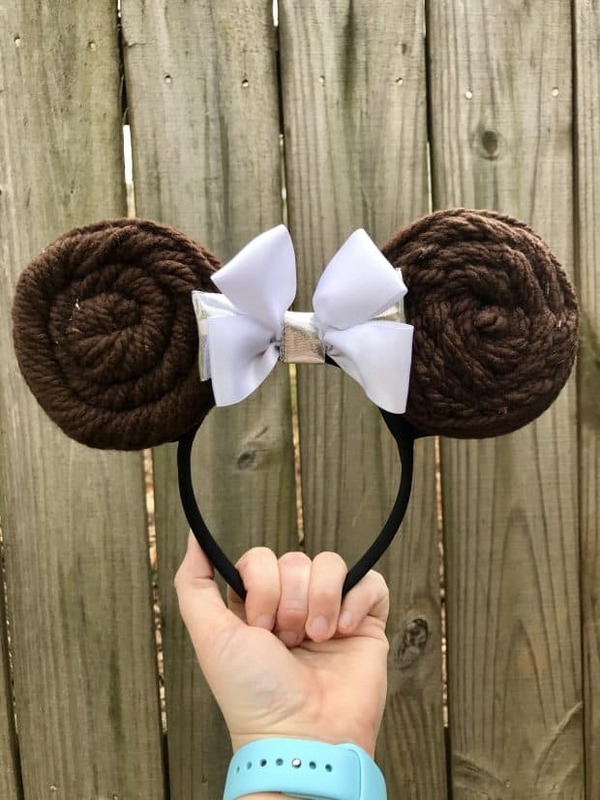 Oh look here’s another Star Wars inspired set of ears, this time with Princess Leia’s infamous braids! What is it about the Dumbo ride in Fantasyland that kids want to ride it over and over! 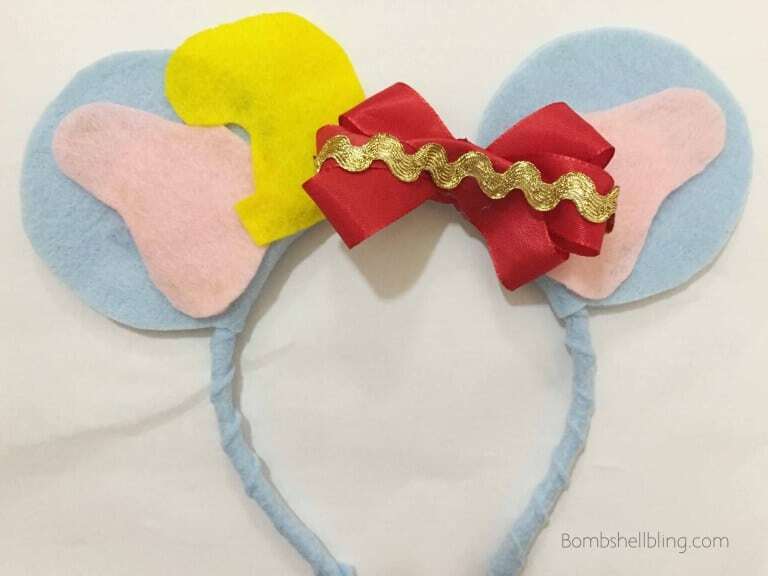 These cute Dumbo ears would be perfect for the photo opp though! Oh these are beautiful and so Ariel! I love the little shell embellishment on the bow too! 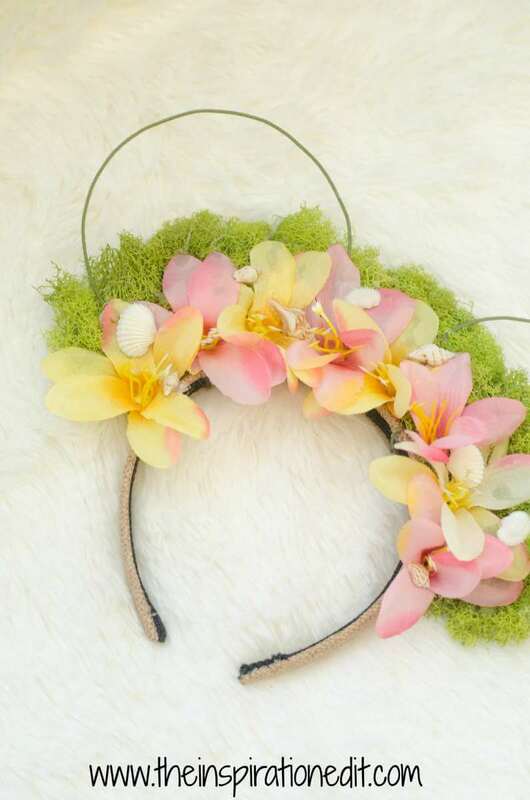 And while we’re onto the Disney princesses how about these sweet Moana inspired ears? I love the use of the moss on the backs of the flowers! 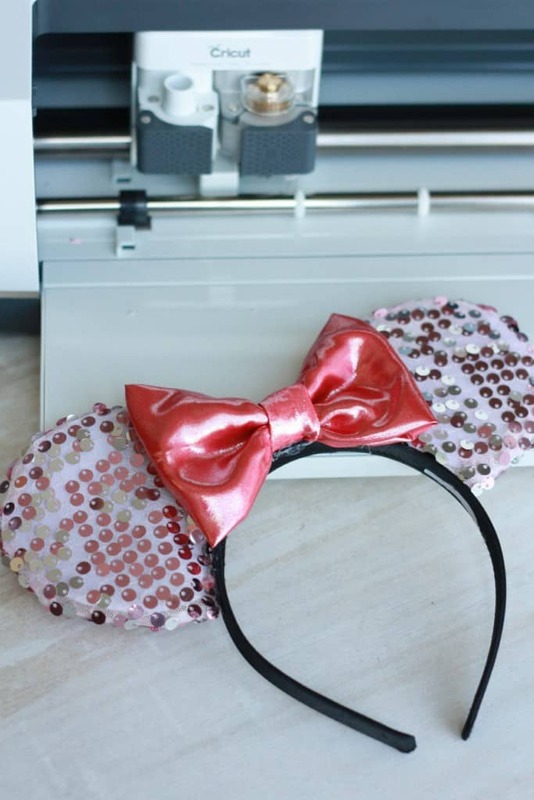 If you were wondering whether you could make your Mickey ears with your Cricut maker the answer is absolutely, totally, YES! And here’s how you do it! Oh my goodness how CUTE are these! This one is for all my readers who love to crochet .I’m definitely adding these to my project list! Have you been to Pandora yet? It’s so amazing, and the Flight of Passage ride takes my breath away every time! 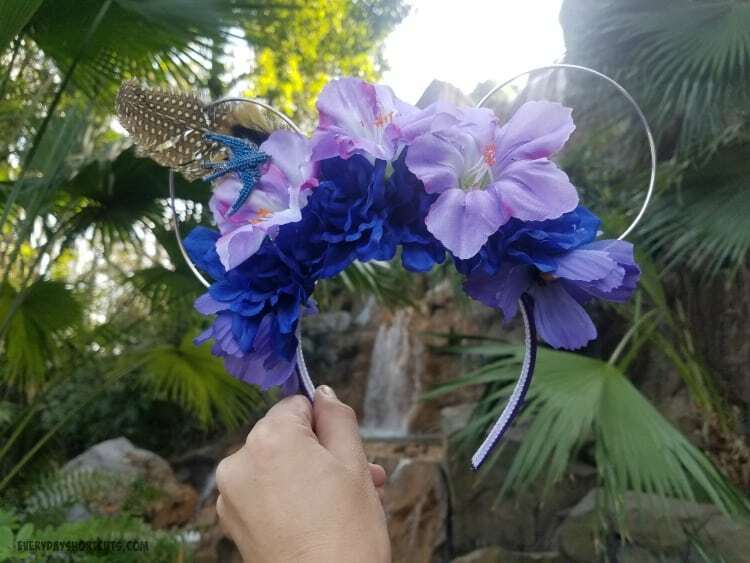 I saw this Pandora inspired ears and knew I had to share them with you! Oh these are SUPER COOL! 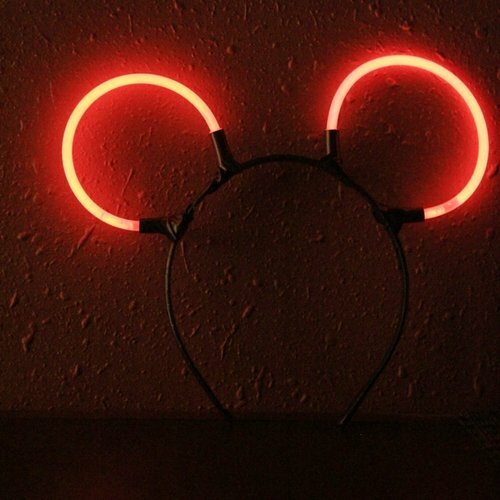 Mickey ears that light up! Just what you need to wear if you’re going to watch Fantasmic! 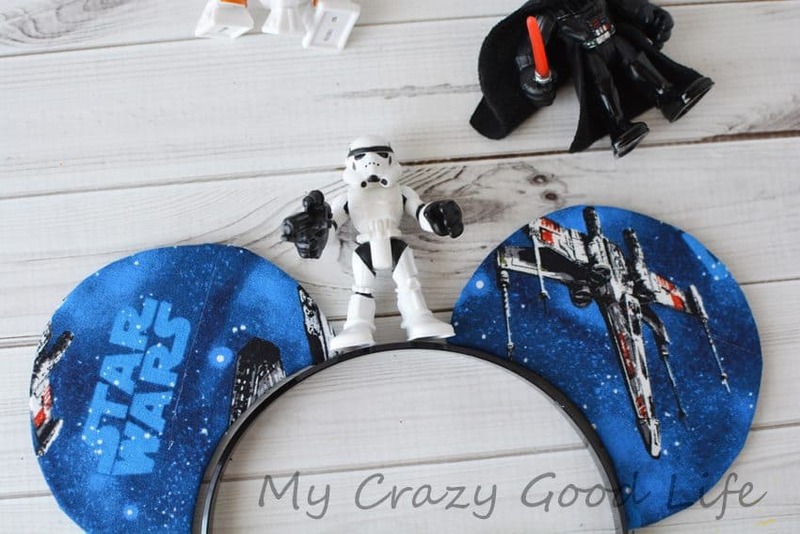 If you’re looking for a DIY headband for your Star Wars loving child how about this one? I love how they added the Storm Trooper figure! 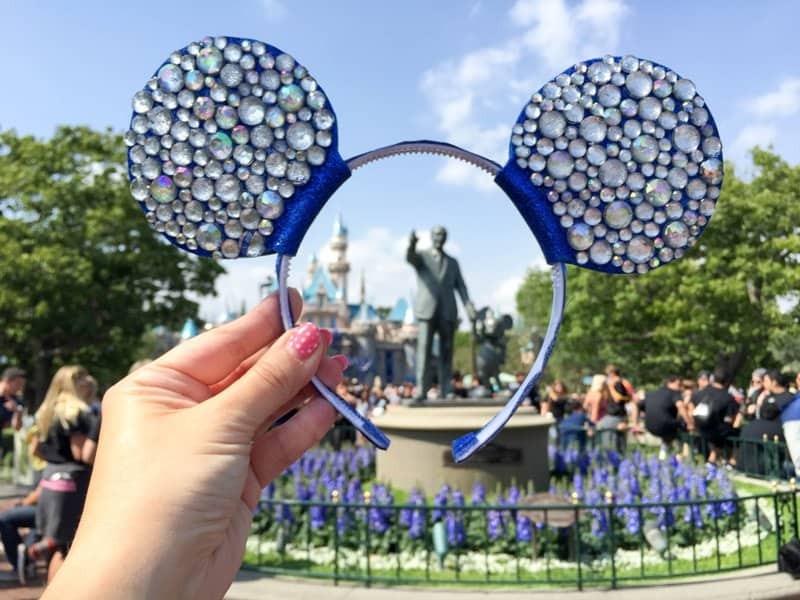 If you’re heading to Disneyland or Disney World for a celebration you should really wear a pair of these fabulous diamond Mickey ears! If you’re a visual learner check out this video tutorial where Sierra shows you how to make your own Mickey ears at home!